Do you need a thirst quencher for your garden? Scheurich introduces another plant lover. As the full-grown brother of the dainty indoor Froggy and as the animal addition to the popular Boerdy, this new water reservoir displays irresistible charm. 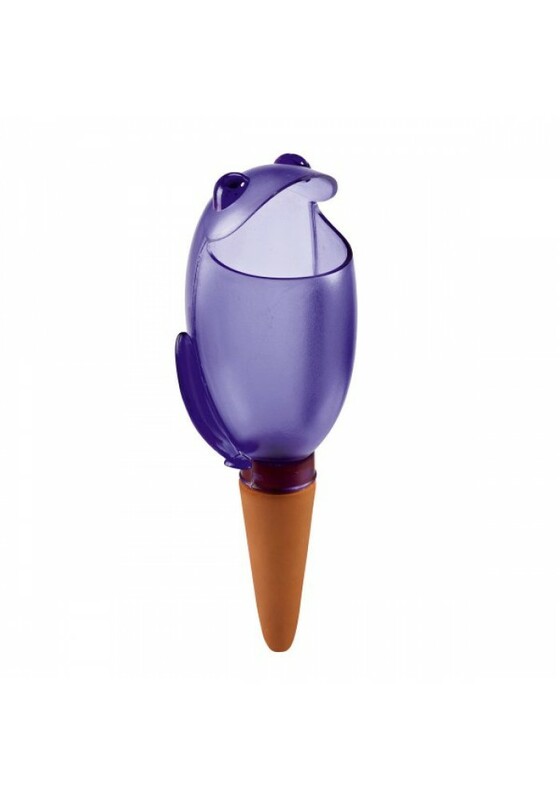 It is easy to fill with 470 milliliters and is eye-catching in every colour option. The maxi frog is both a useful as well as modern outdoor accessory for gardeners, especially for those who like to relax and go away often. 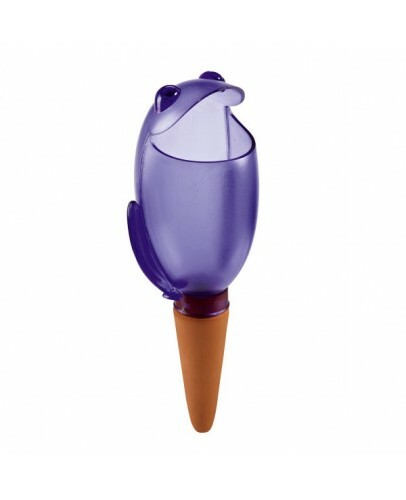 Froggy dispenses its liquid stock bit by bit via its clay pin which is stuck in the surrounding soil providing sufficient water for short trips of up to 4 days duration, creating happy owners as well as freeing up helpful neighbours during longer holidays. Made of translucent plastic, Froggy XL is available in green, violet or yellow, Froggy makes a great little present for relaxed garden friends. 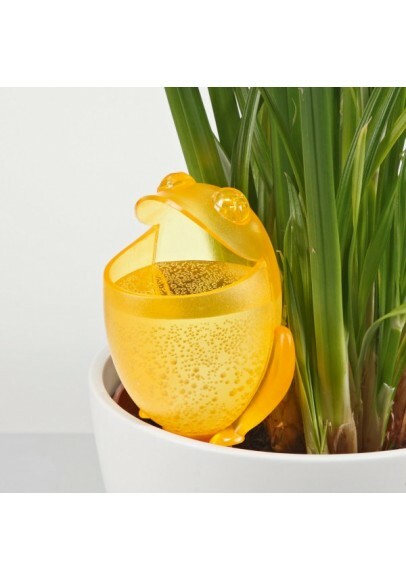 The new motto; “frog instead of flowers” will give continuous pleasure and is both a bright decorative item as well as a sensible gift. A standard plant combined with Froggy upgrades any present.